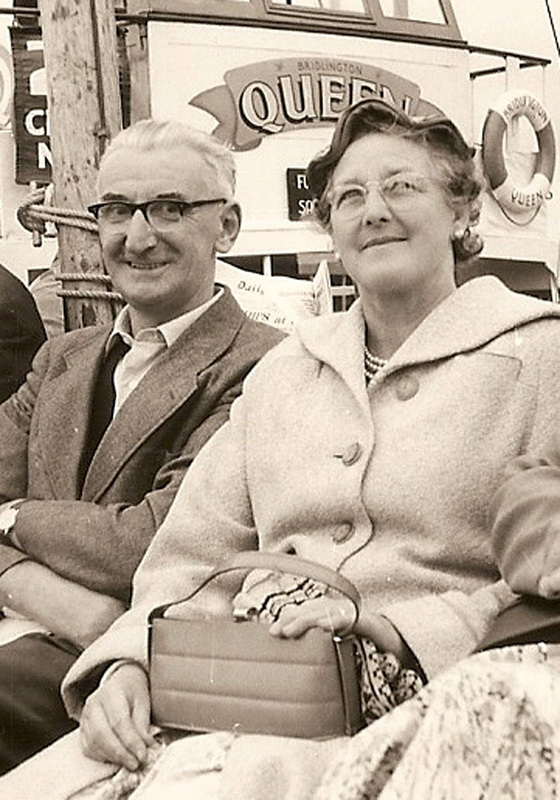 My grandfather, George Roe was born in 1901, in Netherfield, Nottingham, to parents Freer Roe and Elizabeth Riley. George was Freer’s 4th Child, and Elizabeth’s 2nd. George’s second name Robey can be traced back along the ancestral line back to the 1770s. Ellen Eliza Roe 1887 - 1971. She married Bertie William Huckerby (a butcher from Carlton) in 1911. They had 2 children. Harold Thomas 1890 - 1958. He married Nellie Amelia Bingley in 1915, and had 2 children. John Henry Roe 1896 - 1964. He married Cissie Peck in 1921, and had 2 children. George also had a half sister from his mother Elizabeth Riley; Mary (Polly) Henchcliffe Riley. Her father was Thomas Henchcliffe, who lodged with her grandparents and had a short affair with her mother Elizabeth Riley in 1880. As a result Mary was born out of wedlock and raised by her grandmother. Mary (known as Polly) emigrated to the USA in 1910 on the ship Megantic, which arrived in Boston. From here Mary joined John Godber Barker who had emigrated from Nottingham in 1905. They married and set up home in Pawtucket, Rhode Island. They had sons Kenneth and Rowland. His half sister (Polly) lived near George in Netherfield, before she emigrated to the USA. 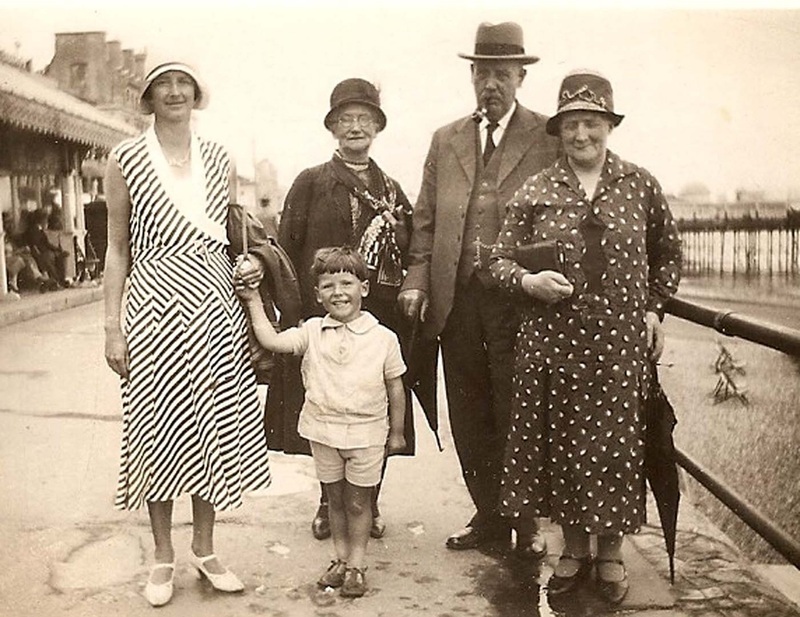 In 1903 George had a sister Harriett Bertha (1903 - 1975) from parents Freer Samuel Roe and Elizabeth Riley. She married Leslie Vincent B Grey in 1925, and had one son. 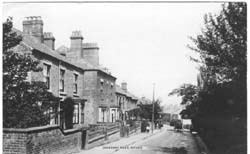 By 1911 the family had moved from Garnet St, to Woodside Cottage, on Meadow Road, Netherfield. George grew up Netherfield, attending Chandos Street School, and the local United Methodist Church Sunday School. George married Maggie Osborne in 1926, they married at the Wesleyan Church, in Gedling on 18th August. Maggie was attended by a number of bridemaids, including her sisters. After the marriage, they purchased a new detached home in the Bakersfield / Carlton area of Nottingham. Soon after, their 1st son was born, it was a further 11 years before their 2nd son was born. George learnt the trade of a compositor, where he would inset each letter of a word into the frames for printing, it needed the ability to read in mirror image. He started his employment with Blacks Printers. 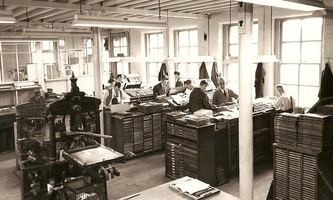 He later became a master printer and foreman, working for Derry & Sons. During WW11 he became a fire watcher, the duties of fire watchers were not to ‘watch fires’ but to look out for incendiaries and extinguish them before a fire could take hold. In September 1940 a law was passed which required factories and businesses to appoint employees to watch for incendiary bombs outside of working hours. Incendiary bombs were quite small. They were dropped, hundreds at a time. On impact they ignited and burned. Fire Watchers were issued with a bucket of sand, a bucket of water and a stirrup pump. He retired age 65 from Derry and Sons, and soon after went to the USA to see his half sister Polly. While in America he drove from Rhode Island, exploring the continent, virtually driving from the East to West coast. He spent his retirement enjoying gardening, and serving as a church warden. He died in 1971, age 71. His wife Maggie died a year later. Freer Samuel Roe was born at Cromford Rd, Ripley in 1862 to parents George Roe and Harriett Cartwright, he was the 2nd of the couples 9 children. He was baptised on 21 Dec 1862 at the Ebenezer United Methodist Free Church, Ripley, Derby, indicating his parents were strong Methodists. Titus Roe (1860 - 1908). He married Betsy Smith in 1882. The couple had 7 children between 1885 and 1899; Gertrude Mary, George William, Titus Leslie, Wilfred Ernest, Harry Archibald, Morris Coy, and Frances Gwendoline. Titus worked as coachman, living in Ripley. He died age 47. George Thomas Roe (1865- 1914). He married Mary Holmes. They had one son (Sydney). George worked as a bricklayer, living in the Ripley area. He died age 49. Sophia Roe (1865 - 1932). She married Herbert Fletcher, an Iron Moulder, in 1887. Sophia had 2 children (Grace Elizabeth & Elsie), however Elsie died age 3. Sophia continued living in the Ripley area. She died age 66. Fanny Elizabeth Roe (1869 - 1874). Joseph Roe (1871 - 1946). He married Mary E Gibson in 1899, they had 3 children born between 1897 and 1903; Edith, Lily & Lizzie Irene). His wife died age 31, (1904) and he married again in 1905. Sadly his daughter Lily died age 14. Joseph worked as a bricklayer, living in the Ripley area until his death in 1946 age 75. She married William Draycott, a joiner in 1896. They had 5 children between 1897 and 1907; Sarah Ellen, Dorothy May, Samuel, William and Priscilla). 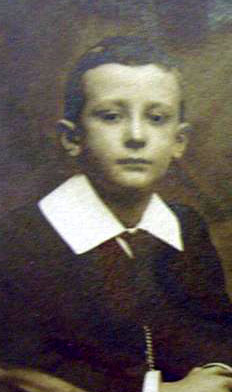 Sadly William (jnr) died soon after his birth in 1905. She stayed in the Ripley area. She died age 76. 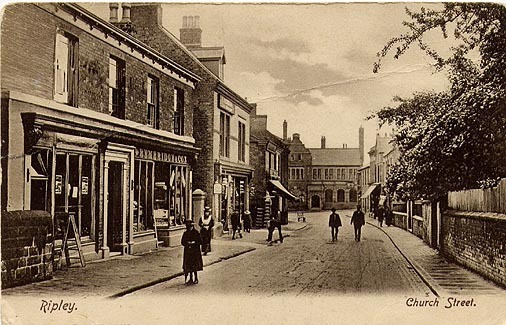 Richard worked as a Grocers Assistant, he moved to Yorks where he married Florence M Lee in 1905. He had at least 3 children born between 1906 and 1910; Phyllis Gertrude, Evelyn Maud & Charles Stanley. 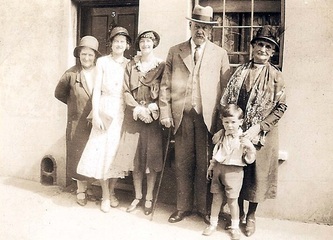 Shortly after Charles's birth in 1910 the family returned to Ripley. John Wesley preached in the open-air and travelled all over the country, preaching in open spaces or wherever people would listen to him. Sometimes he was well received but on many occasions hostile people drove him out of town or village. They were banned from preaching in the established church, so the Wesleyan Methodist Church was formed. John Wesley preached on Ripley Market place on June 14th 1742. In 1849 there was a break-away from the Wesleyan Church, not on account of faith or belief but on individual freedoms of the members. Ripley was a hot spot for the new movement, which became known as Reform Methodist. Protestant Dissenters, Finally united Methodist free churches were built in many towns and villages in the land. A group of these people met in a room at the back George Rowland's shop in Church St (now Godkins) and later in a room in Malt house Yard. In the 1850's there was a religious revival in Ripley, the lecture hall in Wood Street, which had been built in the 1840 was purchased and in 1854 a new chapel was built , called Ebenezer, By 1860 this would not hold all the large numbers attending, A new church also called Ebenezer was built in CO-OP Square, at a cost of £1,700, Seating 600 people, together with a schoolroom. Freer was christened on 21 December 1862 at the Ebenezer United Methodist Free Church, Ripley. In 1862 Victoria was Queen. A few years later, 1867 was an important year for Ripley. The former methods of Local Government proved inappropriate and the first Local Board was elected and proceeded to make bye-laws, employ salaried officials, improve roads, light and water streets, improve sanitary conditions and levy rates. The weekly Market changed to Saturday and, in more recent times, to the addition of a Friday market. Present day shoppers would be amazed at the Market before the Great War, continuing, as it did, until almost midnight with many shoppers not buying until the late night bargains were announced. 1871 Freer still lived at Cromford Rd. 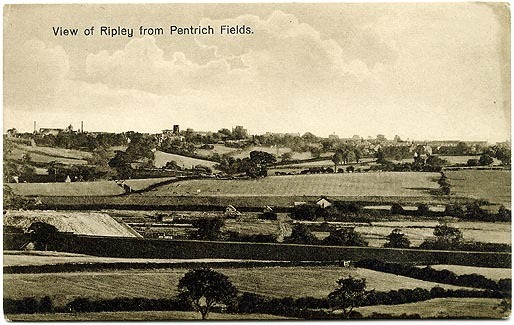 By 1881 Freer, his parents and siblings were living at Nottingham Rd, Ripley. 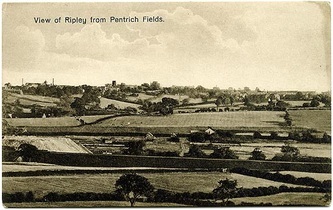 The area surrounding Ripley had been industrialised since the late 18th century. One of the earliest companies to take advantage of the mineral resources around Ripley was the Butterley Company; this was helped by transport on the Cromford Canal, and The Midland Railway (MR). It is possibly work on the railways, which lead Freer to move to the east side of Nottingham, as here he met his first wife Mary Elizabeth Wisher (born 1864 Cropwell Butler, Notts). 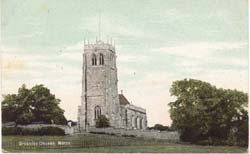 The couple married on 23rd Feb 1885 at St Mary’s Church, Radcliffe on Trent, Notts. Freer and Mary set up home in Garnet St, Netherfield, where Freer was employed as a Railway Engine Driver (source 1991 census). 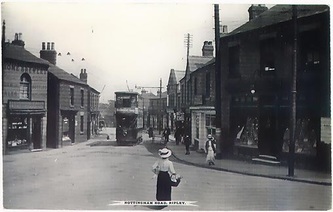 Originally a village, Netherfield’s main period of growth occurred during the mid 19th Century, due to an influx of railway workers and their families. Rows of terraced Victorian houses were built to accommodate their needs. 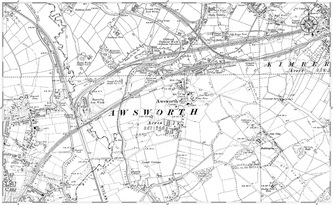 Netherfield developed rapidly in the late 1870’s as a railway town that had the largest marshalling yard on the whole of the Great Northern Railway system called Colwick Marshalling Yard or Colwick Loco. Freer and Mary had 3 children Ellen (1887), Harold (1890) and John (1896). It is thought that Mary possibly died following child birth complications with their son John in 1896. (Mary died in 1896). Victorian women had fewer legal rights than men, they were not allowed to vote. By law, a married woman was the property of her husband, and her possessions – even her children – belonged to him. Influenced by the Bible, many people believed that men and women were born to fulfil different roles: men to command, and women to obey men and bear and raise their children. But, in an age when contraception was still primitive, giving birth was hazardous – many women died in childbirth or soon after. Left alone to raise 3 young children, Freer married in 1897 to Elizabeth Riley, who already had a daughter (Mary Henchliffe Riley 1881) out of wedlock. Freer and Elizabeth married in Stafford, where Elizabeth’s brother Joseph (also a Railway Engine Driver) had been living back in the 1891 census. It is possibly Joseph moved to work in Netherfield as a Railway Engine Driver, who introduced Freer to his sister Elizabeth. Freer and Elizabeth stayed at Garnett Street, Netherfield, and went on to have children George Robey Roe (1901), and Harriett Bertha Roe (1903). By 1911 the family had moved from Garnet St, to Woodside Cottage, on Meadow Road, Netherfield. Freer continued working on the railways as an Engine Driver. Freer stayed at Woodside Cottage, until he died on 15 June 1935 age 67. He died 1 month before his wife Elizabeth. Probate was in Nottingham, to sons Harold, and George. A bricklayer who married Elizabeth Taylor in 1873 and had 7 children; starting with Emma Eliza in 1872, Sarah, Mary Jane, Thomas Edward, George William, Sophia and Gertrude. He spent his early years in Ripley, spending the last 20 years in Kimberley, Notts. He died age 79. A stone mason who married Ann Saxton in 1868 and had 10 children, of which 6 survived; Martha, William, Frank, Mary, Elizabeth and Fred. He spent all his life in the Ripley area. He died age 62. She married Aaron Burrows, a coal miner in 1866, and had 6 children between 1868 and 1884; Moses, George Thomas, Arthur, Elizabeth, Albert E, and Lois. Sadly, one died. She lived in the Eastwood and Kimberley areas, until her death age 68. A butcher who married Ruth Wilkinson in 1874, and had 7 children between 1870 and 1891; George Henry, Richard Thomas, Jane Elizabeth, Percy Harold, Ruth, Sophia Broughton, and unknown child. Three of their children died, Percy age 8, Jane age 25, and a third child. At the time of the 1911 census Richard was living with his son, whilst his wife worked as a domestic servant. Richard died age 63.
Who married who married William Buxton a Brick maker (employer) in 1876. They had 5 children between 1878 and 1991; Sophia Broughton, Sarah Shaw, Jane Elizabeth, Ethel Harriett, and an unknown child, who I believe did not survive. Queen Victoria came to the throne in 1837. Britain's postal system was expensive, complex and open to abuse. In 1837, Rowland Hill proposed a uniform post rate of one penny, irrespective of distance. His proposals were implemented three years later in 1840. In 1841, at the time of the census George lived with his grandmother Sophia Shaw (nee Broughton) at Greasley, Notts. 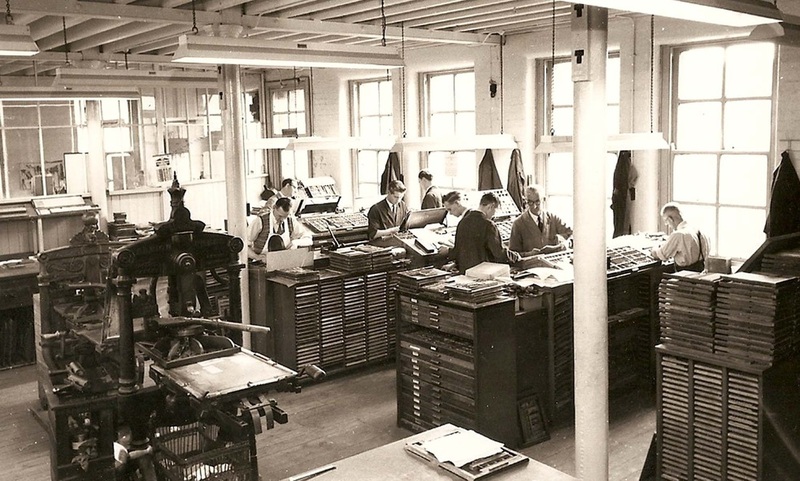 By 1851 he was living back with his parents George and Elizabeth Roe, and siblings at Ripley, Derby’s, at the time his father George was a brick maker employing 8 men. During the Victorian period the use of brick was pivotal to the success of the huge engineering works pioneered by famous designers such as Brunel and Telford. Railways, arches, tunnels, sewers etc. Brickwork was also popular for housing. Unfortunately his mother Elizabeth died in the early months of 1860, and therefore when Harriet Cartwright married George Thomas Roe in the summer of 1860, they moved in with George’s father (now a widower) who was living at Cromford Rd, Ripley. 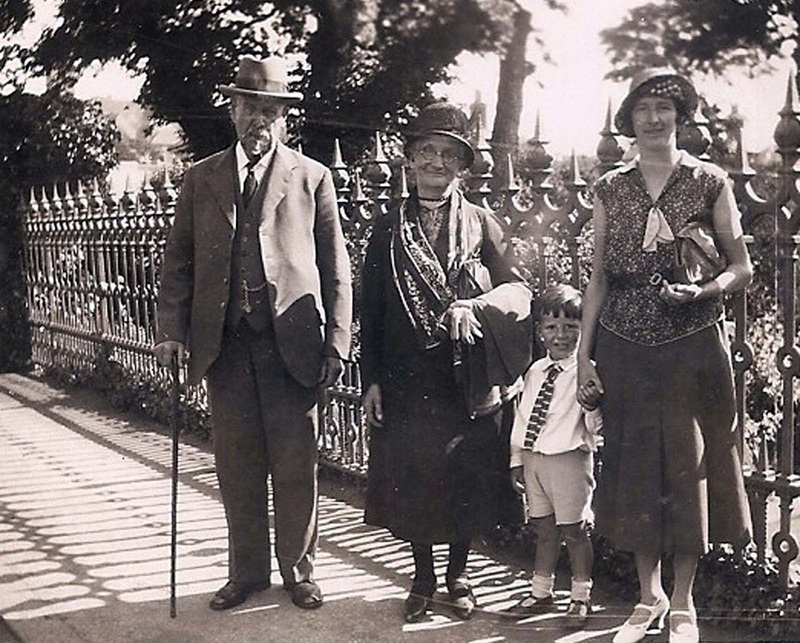 George had learnt his father’s trade as a bricklayer, and possibly joined the family business (along with his brother Edward).Their son Titus was born in late 1860 (Harriett was most likely pregnant at the time of her marriage), followed by Freer (1862), and George (1864). In 1865 his father married Mary Knowles in 1865, and moved to Pentrich Rd. George and Harriett went on to have Sophia (1865), and Fanny (1869). In 1871 George and Harriett continued to live at Cromford Road, where they raised their 5 children, before having Joseph (1871), Jane (1874), and Richard (1879). Sadly their daughter Fanny died in 1874. By 1881, the family moved to Nottingham Rd, Ripley, Derby’s, and then had Ellen in 1881. His father George died in 1887. They stayed in the Ripley area, moving to Greenwich place in 1891. Ripley is an old industrial Derbyshire town, mentioned in Domesday as Ripelie along with the neighbouring village of Pentrich (Pentric), with whom it has had a long association. Coal and iron have been mined in the Ripley area for centuries but it was the Butterley Company, founded by Benjamin Outram that turned Ripley into a prosperous town. In 1894 the Ripley Urban Council was formed. A new town hall was built and the green in front of the town hall became a market place with a weekly Saturday market. 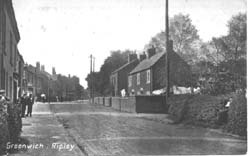 George had moved back to Cromford Rd, Ripley in 1901. Throughout his life George was employed as a bricklayer. In 1901, possibly to help with finances they took in two lodgers in to their home. In the 1911 Census, George is head of the household at "White House", Cromford Road, Ripley. Living with him, are his daughter Sophia, her husband, and his grandaughter. By the time of his death in 1916, he had moved in to Woodside Cottage, Meadow Road, Netherfield, Nottingham (home to his son Freer Sam Roe). George Thomas Roe died in Netherfield on the 8th October 1916 age 79. Probate was to Reverend Edward Thomas Pegg. George Roe was born at Newthorpe, Nott’m in 1812 to parents George (a brick layer) and Ann Roe (I think her maiden name might be Reeve). 1812 was the same year Charles Dickens was born. William was born in the Greasley area. He took up the family trade as a Bricklayer. He married Elizabeth Poulson in 1825, and went on to have a large family in Eastwood. Harriett (1825), Edward (1830 - 1895); Mary Ann (1831 - 1837); John (1834 - 1905); Elizabeth (1835 - 1891); Emma (1838); William (1842); Ann Sophia (1843 - 1844); Frederick (1846) and Thomas (1848). Born at Awsworth, Notts. I have only found Elizabeth on the 1851 Census, where her surname is Wilcockson, she has a son John born 1834 at Eastwood. On 26 Jun 1834 George Roe married Elizabeth Broughton, at Greasley, Notts, the in presence of his brother William. George Roe was a bachelor of this parish and Elizabeth Broughton a spinster of this parish were married by license by John Hides, vicar on 26th June 1834. Both bride and groom signed the register. In presence of: Wm (?) Roe, Lucy Ann Thornton, Joseph Gelstharp (?). Source Notts Archive Office Jan 2006. 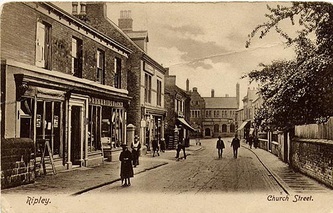 To start with George and Elizabeth lived in the Eastwood area, where their son George was born in 1837, before moving to Ripley by 1839, their home when son Edward Broughton was born. At the time of the 1841 census they lived at Ripley, where George was employed as a builder. His son George was staying with his grandmother Sophia. By 1861 his son George, wife Harriett and family have moved in with him at Cromford Rd, Ripley. He still works as a builder, and his son’s George and Edward have both become bricklayers. Mary died during the 1870's (either 1874 or 1878 - 2 possible matches). At the time of the 1881 census George had moved to live with his daughter Mary Buxton (Nee Roe) and her husband William at Eastwood Rd, Greasley. George is listed as William’s Father in Law. I think George died in 1887, age 74. George Roe was born in Nottinghamshire about 1776. The exact location of his birth and his parent’s details are not known. I believe George married Ann (maiden name possibly Reeve) about 1800. One possible match for the marriage is George Roe who married Anne Reeve at Nuttall on 11 Apr 1798. 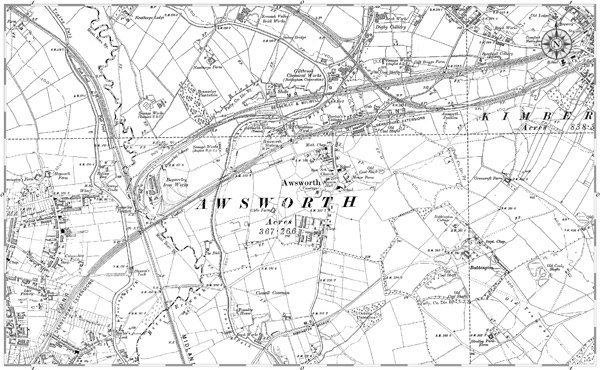 His wife Ann was known to have been born at Awsworth, which is only 2.5 miles from Nuttall. They had a son William in 1801, then daughter Elizabeth who was born in 1805 at Awsworth, Notts, and then a son George at Newthorpe, Notts in 1812. At the time of the 1841 census George and Ann lived at Beggarlee, Greasley, Notts, where George was employed as a Bricklayer. Within the present city of Eastwood lies the parishes of Eastwood and Greasley. 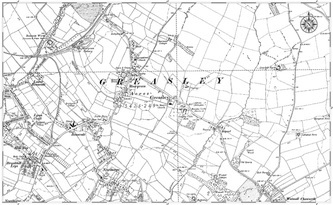 Greasley Parish is very extensive, and consists of the six hamlets of Brinsley, Kimberley, Moor Green, Newthorpe, Watnall Cantelupe, Watnall Chaworth, Newthorpe which includes the small village of its own name, and the scattered dwellings of Baggalee and Hill Top, about one mile west of Greasley church and seven miles north-west of Nottingham. George was employed as a bricklayer, a trade which he passed down to his sons. 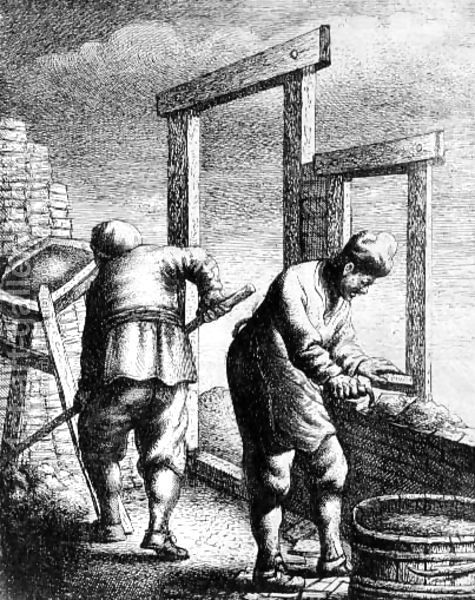 Trade clubs for bricklayers existed in most large towns in the 18th century. The first attempt by bricklayers to combine took place in Nottingham. George died between 1841 and 1851.